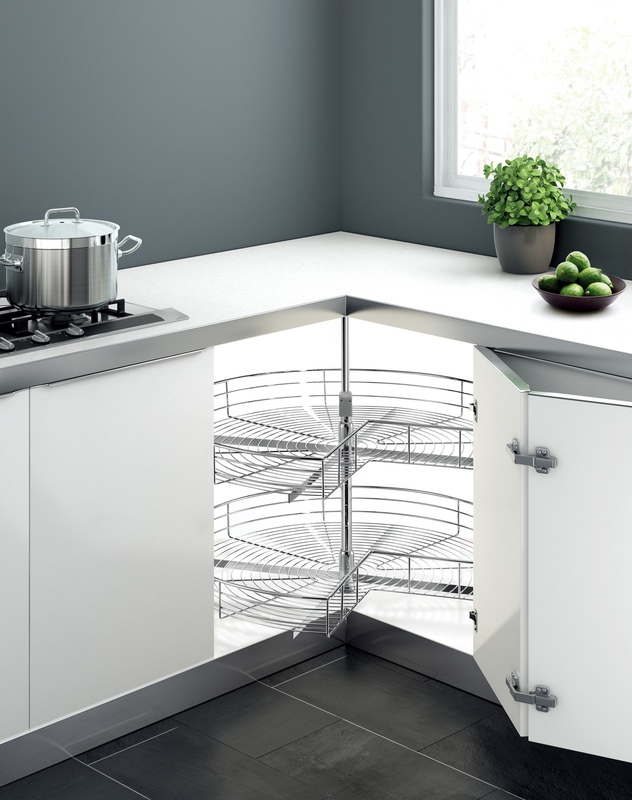 Brand new in store this 270 degree revolving corner accessory with metal baskets allows easy access to everything stored in your corner cabinet. 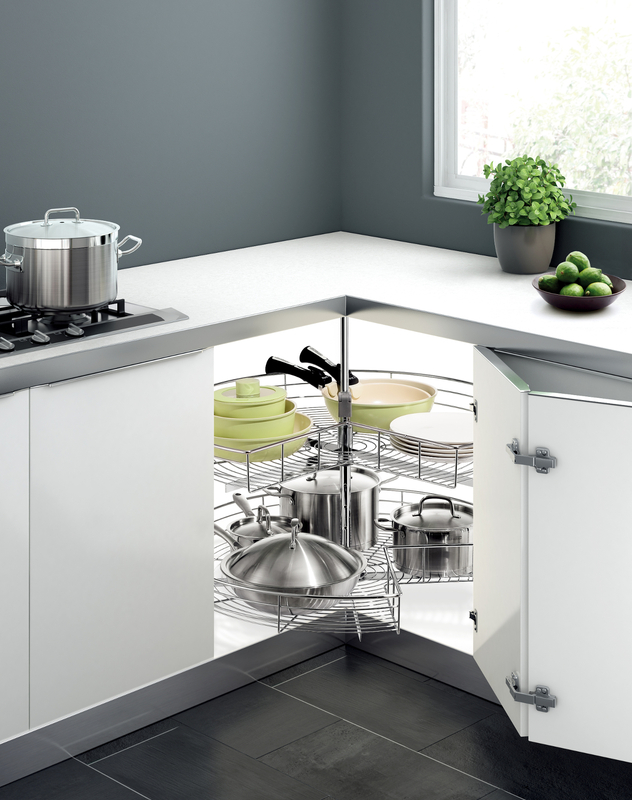 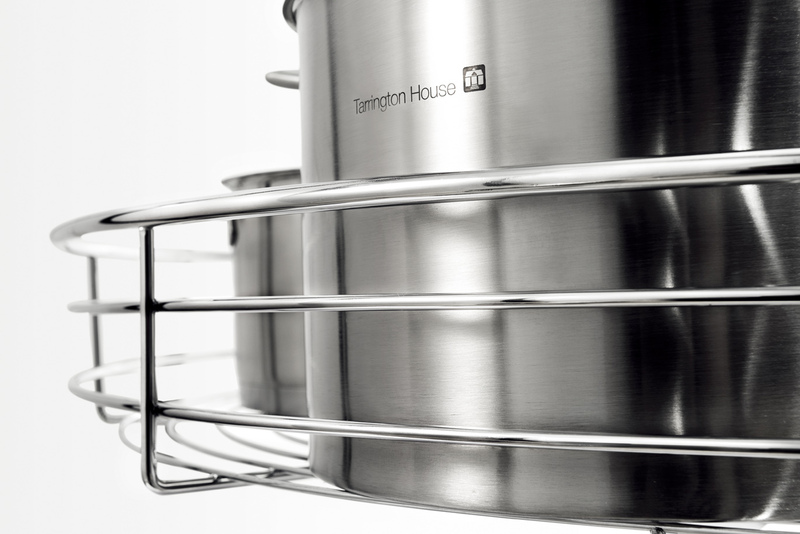 With a 270 degree range of movement, this accessory will ensure you never have to stretch into the back of your corner cabinet to find something again! This is a 270 degree revolving basket cabinet accessory with metal baskets. It is designed to go into our EURO 900/900mm Universal corner base cabinet.